Food served Tue–Sun 10am–2.45pm, 5–10pm. Closed Mon. Neighbourhood Italian dining at its finest with a warm welcome, great service and top-notch cooking. For almost a decade, owner Gino Stornaiuolo has been welcoming diners to his family-run Morningside restaurant. 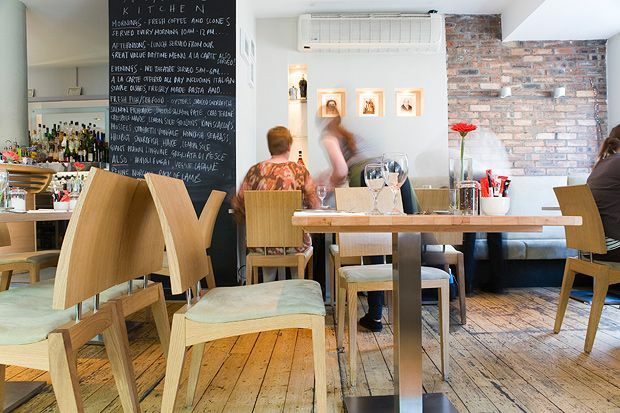 Nonna's Kitchen specialises in fresh fish and seafood, with a wide variety of traditional pizza and pasta dishes on offer, as well as famous specialities such as pumpkin ravioli. Nonna's is blessed with a family atmosphere and the hosts are invariably friendly and patient, taking time to explain (from memory) the many intricacies of their menu. To start, try the tiger prawns, firm and sweet in a tomato sauce with garlic and chilli. Or if you fancy something to share, the huge bresaola is perfect for two. The crisp pizzas are beautifully presented and thankfully not so big that you'll swear off the dessert menu, which is just as well as the crisp cannoli, filled to the brim with sweet ricotta, is too good to resist. Topped and tailed with genuinely warm service, this is a haven for Southside diners, but with retirement beckoning for some of the family don't hang about if you haven't ticked this one off your dining bucket list.